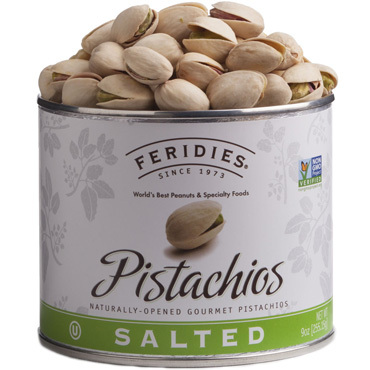 FERIDIES offers irresistible classic nuts that are freshly roasted and rich in flavor - including Whole Jumbo Lightly Salted Cashews, Salted Pistachios and Salted Almonds. Nuts are a favorite snack for many people and with all of the health benefits associated with them, it is hard to argue how beneficial they are. Not only can you eat them as a snack but you can also add them to your favorite recipes such as brownies, dips, salads, and more. Nuts can be used in a variety of ways. To go along with that, we also offer a variety of nuts for purchase so you can do exactly that. We have options where you can buy nuts online on their own or as part of snack mixes and specialty foods ready to eat. We specialize in Virginia Peanuts which come in a variety of options so you can find the right flavor that you are looking for. However, we offer so much more than that and if you want something other than peanuts, then you have come to the right place. Other nuts that we have available include almonds, cashews, and pistachios. All of our options taste great on their own but they are also good to include in some of your family favorite meals and treats. 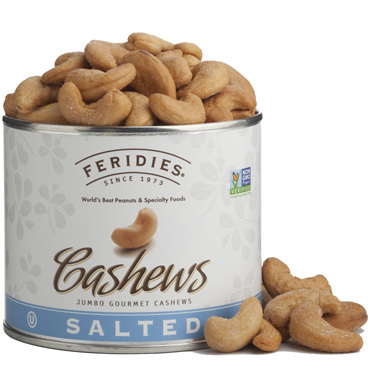 Our cashews are lightly roasted in peanut oil then sprinkled with a dash of salt. These are gourmet cashews and will be unlike any others you have tasted before. We even make sure they are big in size and will never offer anything less than a whole jumbo cashew for our customers. Our pistachios are from California. In order to prepare them for you, they are gently roasted and lightly salted. They are also naturally opened so you can snack on them easily. Just be careful because they are irresistible and once you start eating them, you may not be able to stop. Our almonds are very meaty and plump and we wouldn't want them any other way. We gently roast them in peanut oil and then lightly salt them for the perfect flavor. If you are looking for something other than peanuts to snack on, we have many gourmet nuts for you to choose from. Try one of our other nut varieties today!